I was putting together the pieces of a longer post when the rain started. 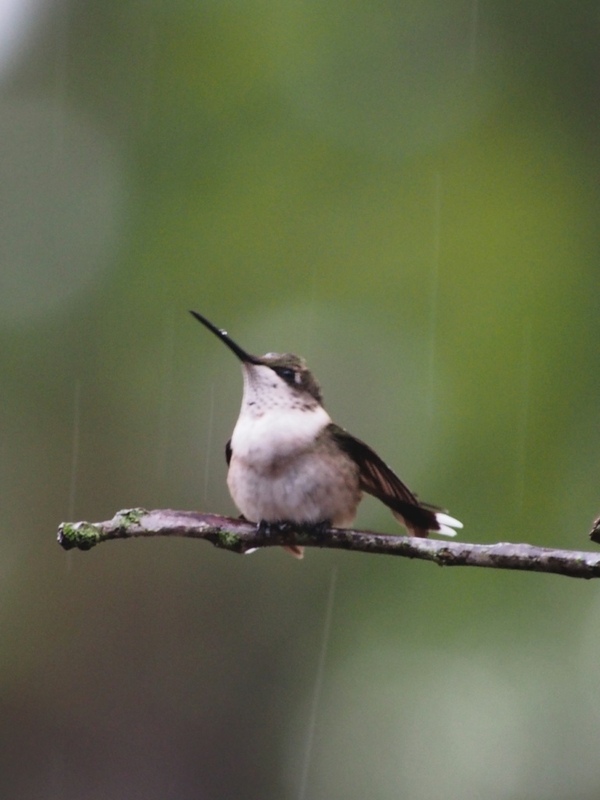 The rain gauge is filling up, the grass is starting to green up, the hummers are dancing, all is right with the world. 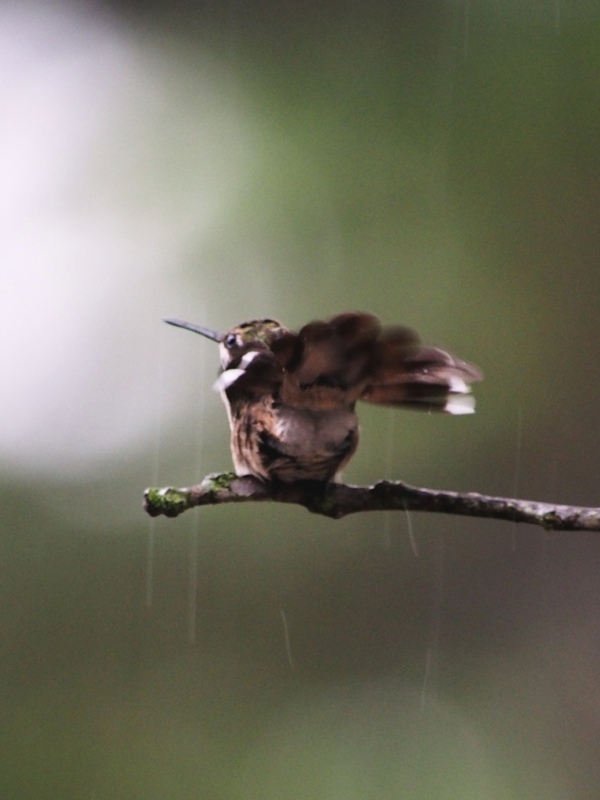 This entry was posted in birds, Ozarks, Photography, wildlife and tagged drought, happiness, Hummingbirds, Olympus E-M5, OMD, photography, rain dance by artsifrtsy. Bookmark the permalink. Nice shots and fun post! Thank you! It has been an amazing season – I am just enchanted by them. How long do they stay? Some locals have been saying to keep the feeders up until December – I’ve always taken them down earlier. Thanks – they are such amazing creatures. Sharing a series of photos makes the event so interesting. We’ve got a beautiful sunny blue sky in Melbourne today and here am I rejoicing in that Spring finally has arrived and the continuous rain seems to have abated (at least for today). Thanks Vicki, We have had a summer-long drought, we are about 15 inches behind. The rain was a welcome sight this weekend:) I feel like we missed much of our spring. I know how you feel though – a typical spring here can seem like endless rain. Hope you start seeing spring flowers soon! 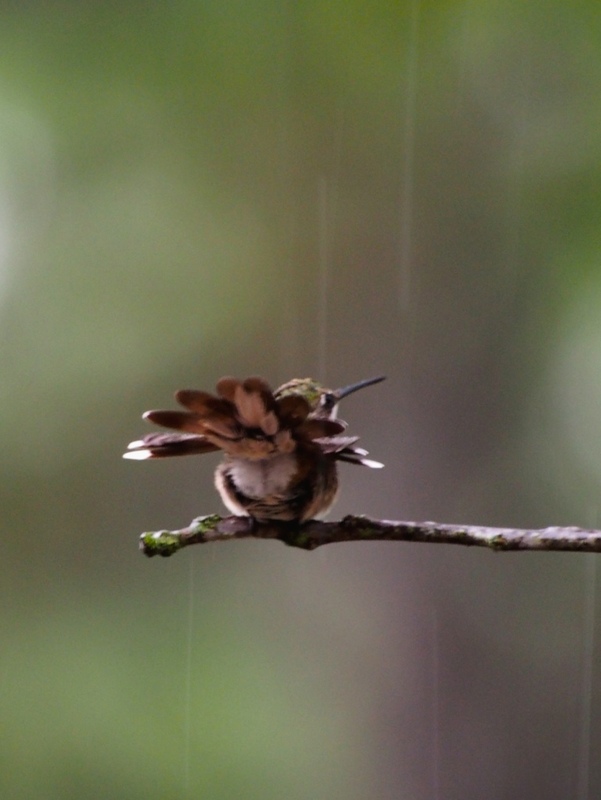 Wow, I can see the rain drops – you are an awesome photog! Thank you for sharing these gorgeous photos! Thanks Diana – I was loosing light so I snapped fast. I’m not sure what she was doing out there but she has staked her claim to that branch – she’s still there ready to dive bomb anyone visiting her feeders. I’m thinking we should dub you “The Bird Whisperer”! These pictures are amazing. Neat to actually see the rain in the shots. 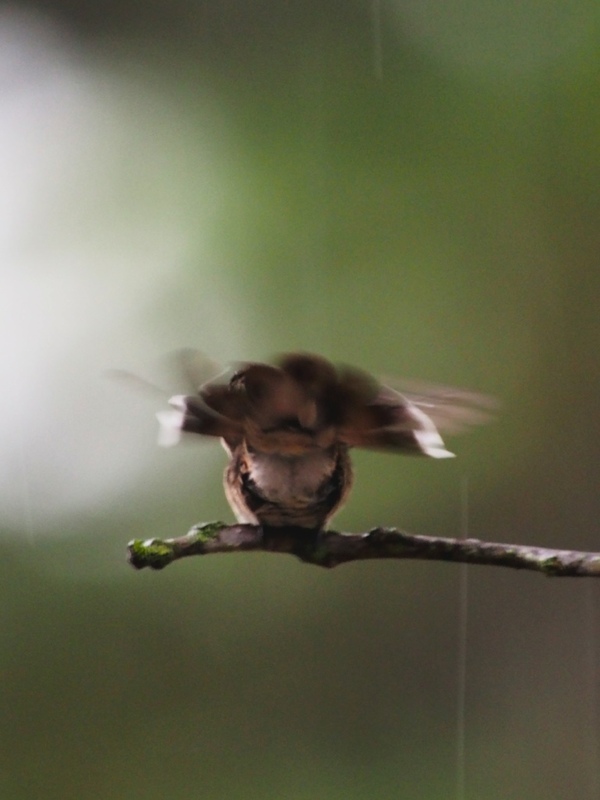 Thanks – I was inside the doorway today because of the rain – The raindrops were a nice surprise.